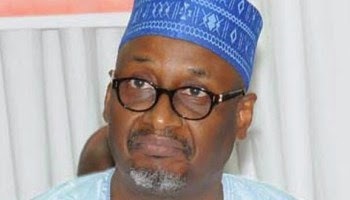 The defeat of the ruling Peoples Democratic Party (PDP) in the recently concluded national elections is already having some unpleasant spin-offs, the latest being the determination of some groups to ensure that the National Chairman of the party, Alhaji Adamu Mu’azu, as well as the entire National Working Committee (NWC) are sacked ahead of the expiration of their tenure. The ultimate intent is to raise a new set of party leaders who will re-jig and re-launch the fortunes of the party by identifying and grooming candidates for the 2019 presidential and other elections. The tenure of the NWC led by the former Governor of Bauchi State, Mu’azu, is expected to elapse by March 2016, after completing the mandatory four-year tenure in office. The demand for the ouster is based on the allegation of being corrupt. But the Mu’azu-led NWC has been embittered by the allegation. In a swift response, the PDP National Publicity Secretary, Olisa Metuh, refuted the allegation of corruption, stating that the party campaign funds were managed by the presidential campaign organisation, insisting that no fund was given to the party since January 5 this year. It was gathered that some aides of President Jonathan are seeking the sack of the Mu’azu-led NWC, according to them, “to ensure the reform of the party,” while basically blaming the defeat of PDP in the general election on what they described as lacklustre NWC under Mu’azu. According to some of the president’s aides, “The NWC under Mu’azu has to go to enable a reform of the party and prepare it for the role as opposition party and subsequent elections. But an NWC member, who doesn’t want to be quoted, told THISDAY that the plot to remove Mu’azu is the battle for the soul and body of PDP for subsequent elections in 2019. “We saw this coming. It is all targeted towards who controls PDP in subsequent elections. The aides of the president and some ministers who would be out of job by May 29 are looking for jobs and what to keep them politically relevant. So, they are urging President Jonathan to put his feet down, sack the NWC in the name of reforming PDP. “Some of them are even accusing us of embezzling the campaign funds, all in the name of giving us a bad name for the eventual sack,” the NWC member said. But in an apparent response that the NWC is corrupt and did not disburse the campaign fund as expected, Metuh said the campaigns were directed and managed by the directorates of the presidential campaign organisations, which the NWC had no control over. According to Metuh, “As a party, we have refrained from joining issues publicly on this matter, but in the light of series of enquiries arising from allegations that the NWC embezzled the money meant for the campaigns, we need to make some clarifications. “As the spokesperson of the PDP, I want to place it on record that the NWC was not part of the management of funds for the presidential campaigns. The NWC did not receive any money neither was it in any way involved in how the funds were spent. “Even as the national publicity secretary of the party and chairman of the publicity sub-committee, I did not receive any money from anybody and no fund whatsoever was given to me for the campaign. Alluding to discordant tunes calling for the sack of the NWC, the PDP spokesman decried the unnecessary heating up of the party system by certain elements whom he said have been hired by some divisive elements within and outside the party to sponsor negative publications ostensibly to pull down the leadership of the party. Calling on these individuals to desist from such, the PDP spokesman urged all party members to unite and support the leadership in its re-engineering efforts aimed at returning the party to power in 2019. He said the primary focus of the leadership at the moment is how to ensure that the party’s candidates in all the rescheduled elections across the country emerge victorious, while also perfecting all processes to ensure that those who fell victim of the irregularities that characterised the 2015 elections reclaim their mandates. Metuh said it was only the NWC that has powers to summon the National Executive Committee (NEC) meeting of the party, which he said would take place in two weeks time. Recently, stakeholders of the PDP, including former Political Adviser to President Jonathan, Ahmed Gulak; Senator Abubakar Girei and Dr. Umar Ardo have been calling for the sack of Mu’azu as the national chairman of the party.